We can be reached 24 hours a day by email or cell phone. 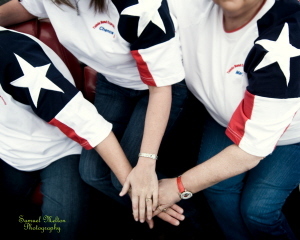 You will find our agents contact information at our website! 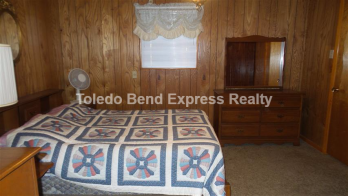 At Toledo Bend Express Realty, we specialize in providing an outstanding experience for our clients and customers. Our office includes seven full time Texas REALTORSÂ® offering professional real estate services in the Toledo Bend and Sam Rayburn Lake Areas! This is our home and we can hardly wait to share it with you! If your family is considering relocation, if retirement is in your immediate future, if you've considered a vacation home, or you're just planning a fishing trip, visit our site and check back often for Real Estate on Toledo Bend, as well as a resource of information celebrating the natural beauty, community and family values that truly make Hemphill, Texas one of the best places to live! We have extensive experience and knowledge about our local real estate market, and we're committed to providing the highest quality service to our clients. Our office is fully equipped with an integrated network of computer and communication systems. We have instant access to all of the regional Multiple Listing Services, Public Record Searches, and other tools and services that are needed in order to better serve you. Call or visit today and 'Get On Board' with your Toledo Bend and Sam Rayburn Lake Area Specialists! You'll be glad you did! This magnificent lake side Jackson Hole Style Lodge was designed to accommodate large crowds for both Corporate functions or family retreats. With two separate boat docks complete with automatic lefts, you will only need your fishing tackle to hit the lake at the crack of dawn. The main lodge consists of 3 stories with the first floor being 4600 sq. 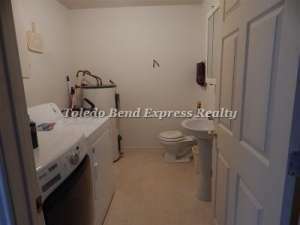 ft. of open concept, but with enough privacy to have several cozy nooks! The kitchen area has top of the line stainless appliances where cooking will be a pleasure. The granite counter tops on the rustic cabinets will impress your guests. There are two separate eating areas, and various gathering areas equipped with wide screen TV and fireplace, a pool table, and sitting areas to gather and enjoy quiet conversation or laugh over the tall tales about ' the one that got away'! The second floor is home to 5 master suites complete with private baths and private TVs. The third floor is 1260 square feet with an open bunkhouse type bedding for over flow guests. Wrap around decks on the two lower floors provide plenty of space to sit and enjoy the beauty of the lake! 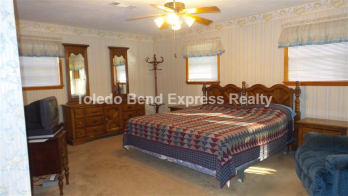 The property has a 1200 square foot caretaker's house with 3 beds to accommodate the staff. The property is complete with a large outdoor kitchen in the lakeside Gazebo. Must be pre-qualified to schedule an appointment! To better serve you, please mention 202 Crain Dr E when sending inquiries. Move In Ready - Everything STAYS! To better serve you, please mention 271 Stonewall Dr when sending email inquiries. PRICED TO SELL-1 Block from Boat Ramp-Under 100K! SALE PENDING! Awesome Camp, starter or retirement home. Possibilities +. 2/1.5, w/ 1653 living area resulting in really nice size rooms. 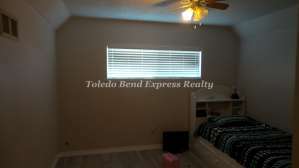 Nice kitchen open to large family room all with wood laminate flooring. Bedrooms have nice carpet & baths have tile. 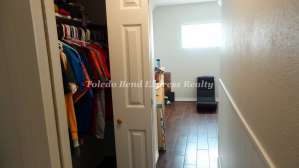 Home has ample closet space with one being cedar lined. 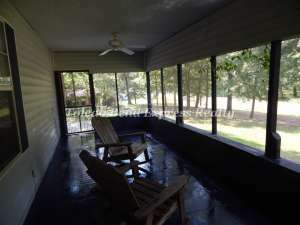 Large screened in front porch for your relaxing evenings. Two covered carports, storage shed & this home all on 4 lots & a block from boat ramp. What more could you want, all for under $100K. MOVE IN READY! Call 1-800-632-9915 ext 6024 for FREE updated information or call/text 75963 to 936-201-4539 for assistance now! 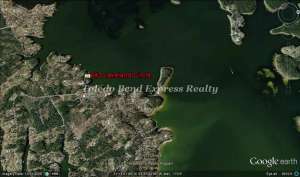 Toledo Bend Express Realty\r\n\r\nTo better serve you, please mention 665 Ireland Dr when sending inquiries. Have the peace of mind that there are neighbors nearby if you need them, but enjoy the fact that you can\'t see or hear them! This beautiful acreage is wrapped in peace and quiet and bursting with the flavor of pure country! Forget water bills and enjoy water drawn from the well that is tapped into an artesian spring according to the seller. One side of the property boasts a HUGE chicken house that has been partially enclosed for a large storage/workshop, with open areas to park tractor, trailers and outdoor toys...all on a concrete slab. 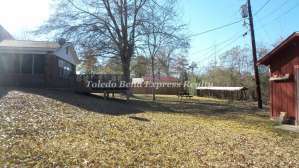 The yard is dotted with magnolia trees and flowering shrubs and there is plenty of room for your garden spot, as well as a small pasture for horses. Yes...the house is old and needs work! You may even decide that you\'re not up to restoring an old farm house and that it\'s a tear down...but it will put a roof over your head while you build that barnominium you have dreamed about or decide on the perfect spot for a manufactured home! You can have whatever your heart desires as this is totally unrestricted property. The house sits on approximately 2.5 acres with approximately 1 wooded acre across the road and is surrounded by thick woods for maximum privacy! Great access to Hwy 103 and not too far from town! It\'s perfect! Call now and make it yours! Call 1-800-632-9915 ext. 6019 for FREE updated information or call/text \'190192\' to 936-275-8974 for assistance now! Terry Vaughn, Broker Toledo Bend Express Realty\r\nTo better serve you, please mention 1305 Boyd Rd when sending email inquiries. REDUCED AND READY FOR NEW OWNERS - COUNTRY LIVING ON 2.152 ACRES! 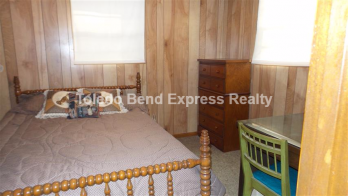 This property is between Milam and San Augustine and faces onto both Hwy 21 and Hwy 330. Totally unrestricted so you could also put a business on this property. Property has large oak and pecan bearing trees. The old house will be torn down before closing. The 2009 double wide has 3 br/2 ba and features open concept with kitchen, dining and living rooms connected. The front has an entrance porch and the back has a spacious covered deck with plenty of space for entertaining or porch sitting. Call 1-800-632-9915 ext 6013 for FREE updated information or call/text \'75916\' to 936-288-9420 for assistance now! 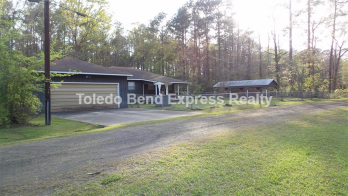 Toledo Bend Express Realty\r\n\r\nTo better serve you, please mention 165 Geneva Sexton Rd when sending email inquiries. 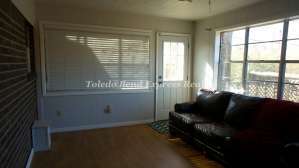 This 3br/2b mobile home has updated floors, bathroom walls, utility room and kitchen. Back porch has been enclosed. Insulated and double paned windows . Could be used as bunk area if you have extra company coming. The well is 100 foot deep with good water. Seller has installed a rock driveway. Two metal storage buildings, well house and generator house on the property as well. Back and side privacy fences. Community boat launch is very close. A list of all improvements available. FREE information at 1-800-632-9915 EXT 1035 Call/Text 936-288-9420 to speak with Mary Greer, REALTOR Toledo Bend Express Realty \r\nTo better serve you, please mention 108 Byron II when sending inquiries. The Lake And Hunting Life! SALE PENDING! SALE PENDING!\r\nIndian Mounds Subdivision offers you a restricted neighborhood with easy access to the community boat ramp and allows hunting in the Sabine National Forest directly across the street from the land. The land is 0.65 of an acre with available utilities; however, there is a house and a shed that is unlivable or unusable that will need to come down (enter at your own risk). 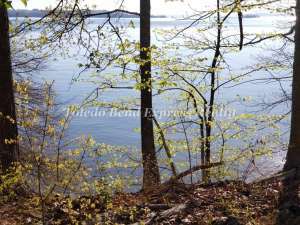 If your passion is fishing and hunting do not delay on getting this property! Call 1-800-632-9915 ext 6033 for FREE updated information or call/text \'75051\' to 281-979-6884 for assistance now! \r\n\r\nTo better serve you, please mention 126 Geronimo Loop when sending email inquiries.